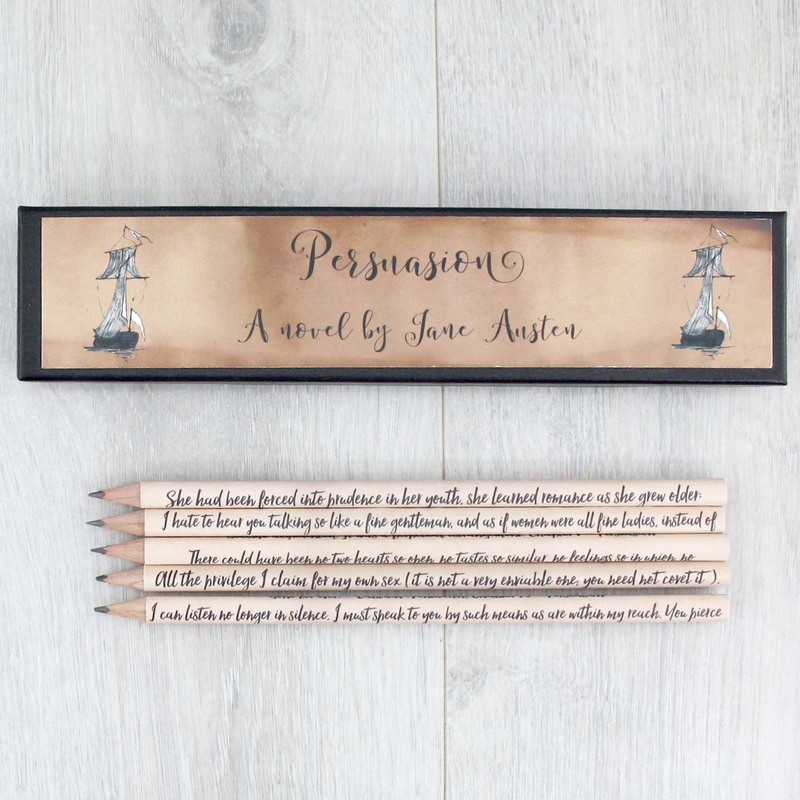 Persuasion by Jane Austen. 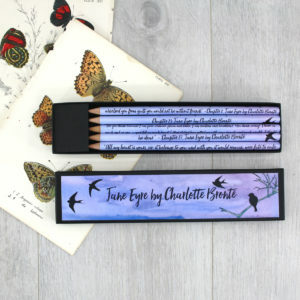 Literary quote pencils for bookworms. 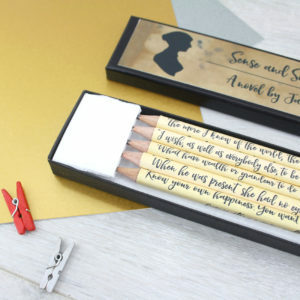 Book quotes from Persuasion, following the story of Captain Wentworth and Anne Elliot. 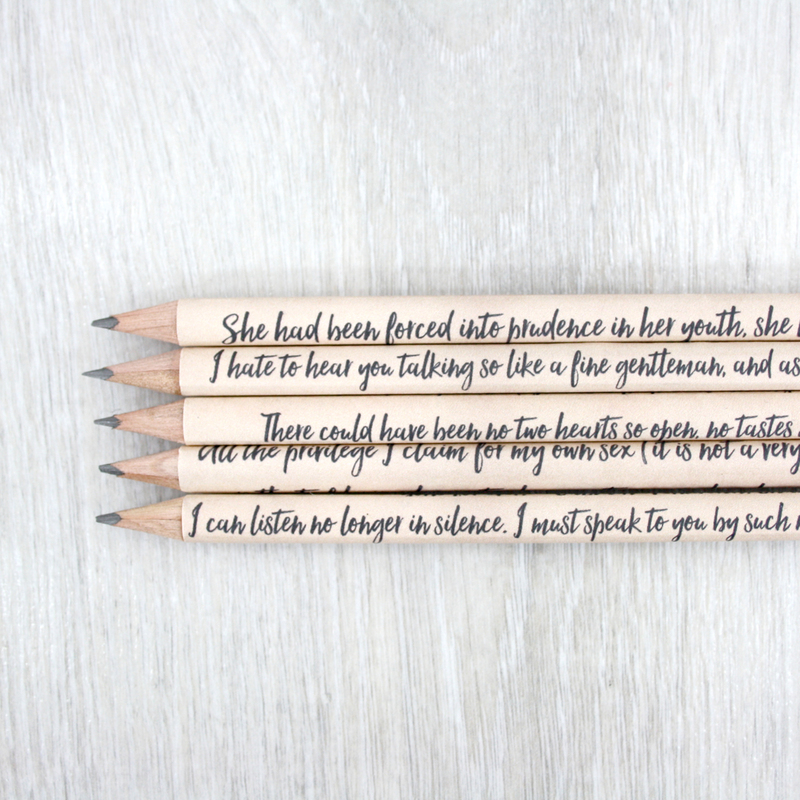 This set of five literary pencils each has a quote from Jane Austen’s novel Persuasion. 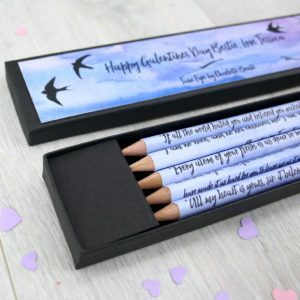 A tale of second chance love and forgiveness. 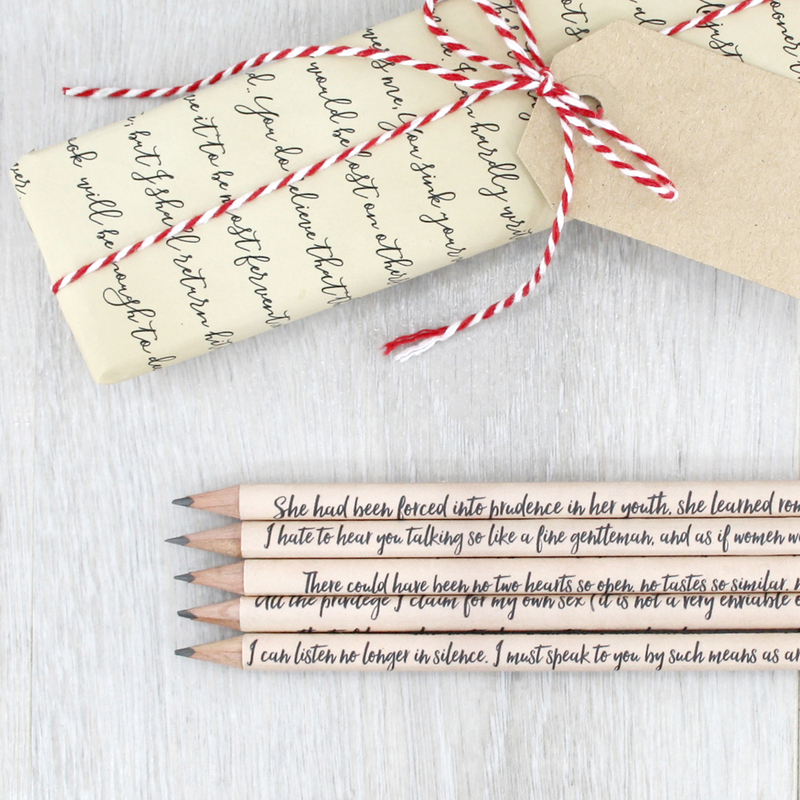 Your book pencils come in a matching gift box with a nautical theme, as Captain Wentworth and the navy are central to Persuasion’s story line. 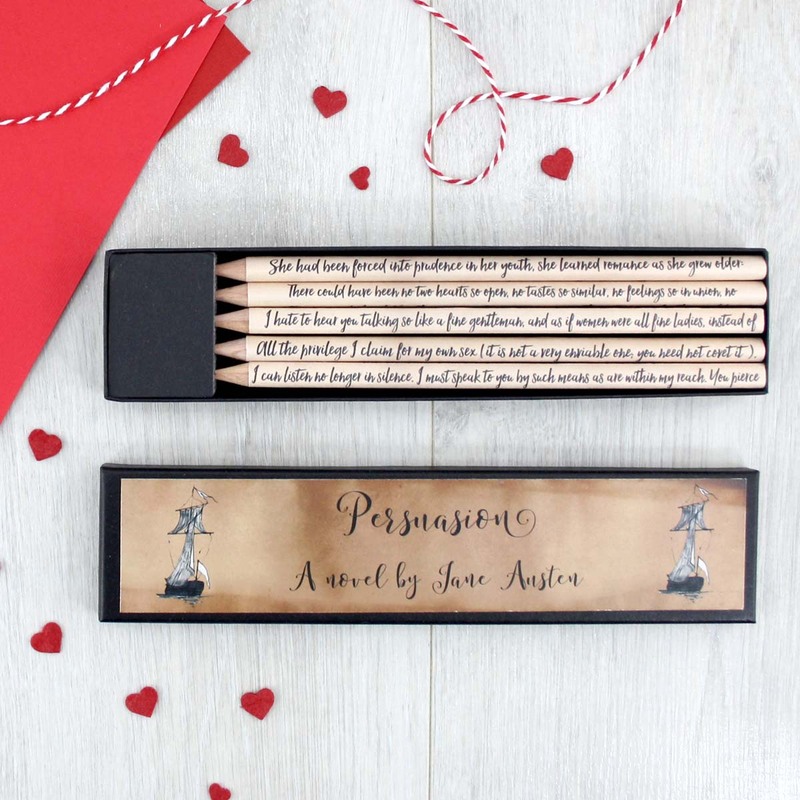 The latest addition to our Jane Austen range makes the perfect gift for Janeites, give to your book club MVP, your best friend who is a total bookworm. 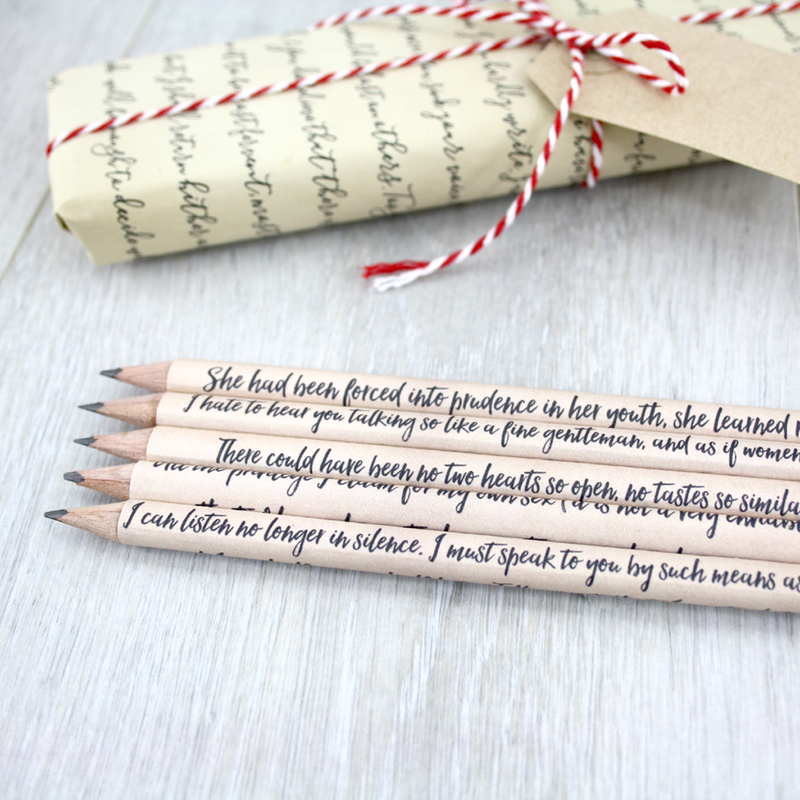 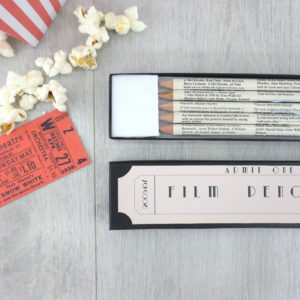 Get a personalised Persuasion pencil set here. 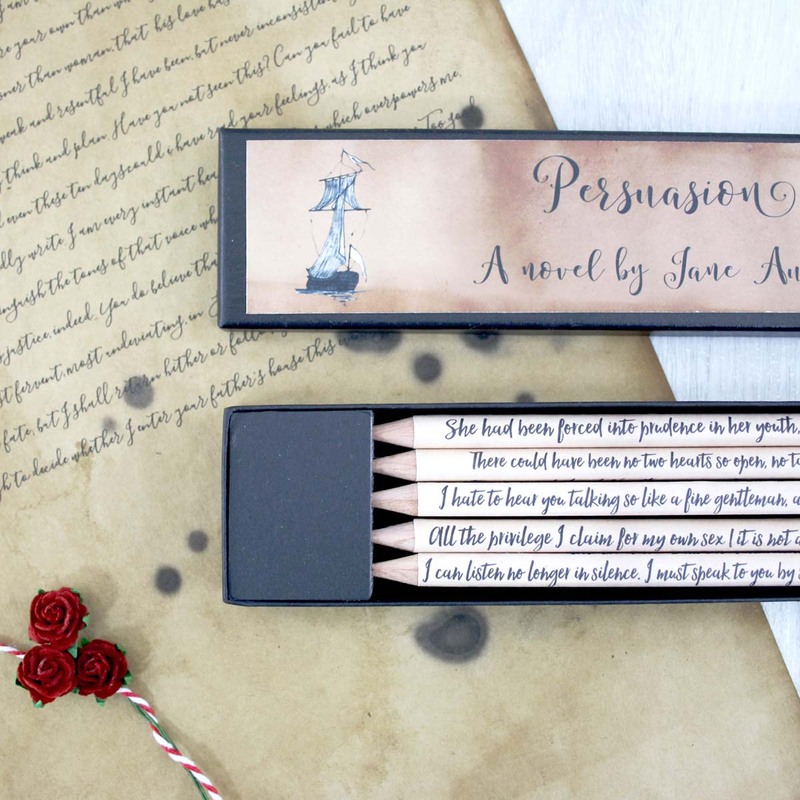 The wrapping paper for our Persuasion pencils was specially designed just for this set. 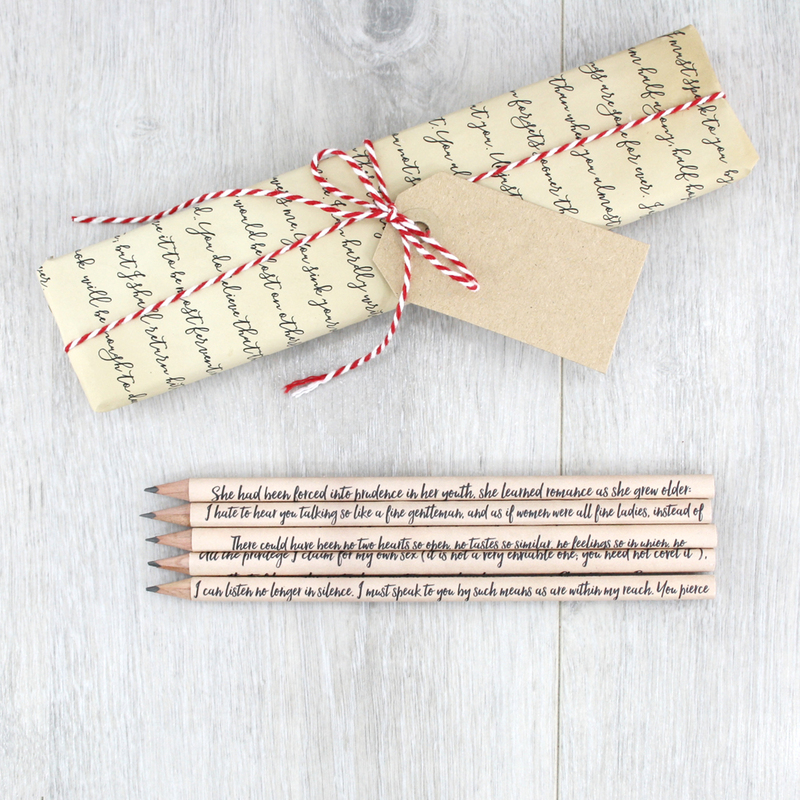 The gift wrap features the words from Captain Wentworth’s letter to Anne. 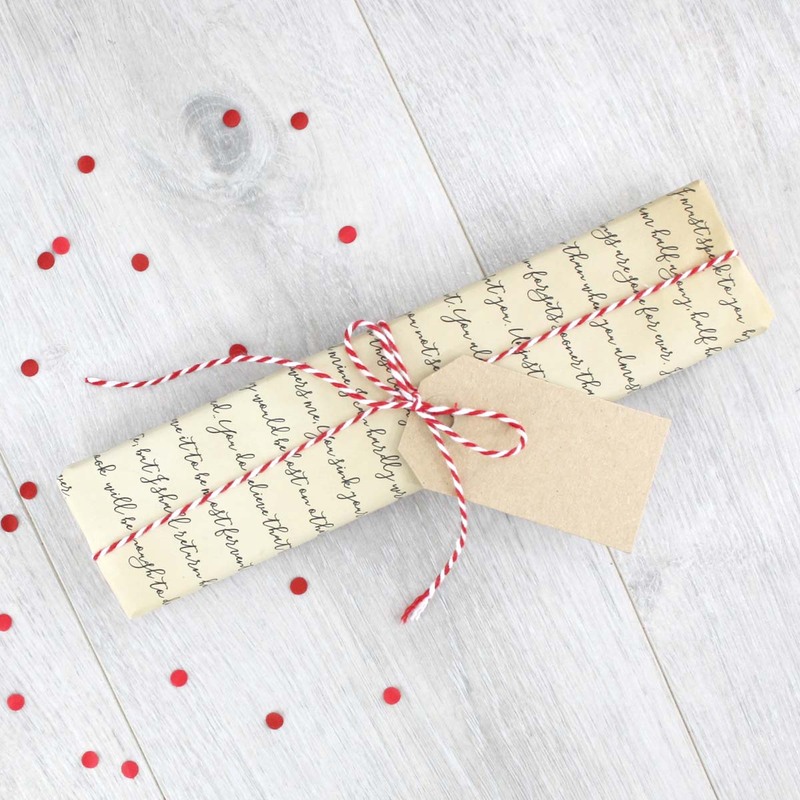 Printed on tea stained paper and finished with red and white bakers twine and a gift tag.